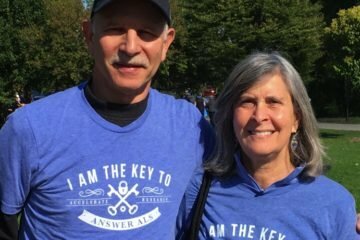 Join Answer ALS on Tuesday July 31 at 3:00m EST for an important webinar on the project’s progress and how we are using technology to help Answer ALS. 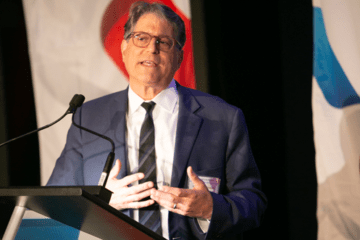 We apologize for the short notice, but while our plans were to offer this webinar in August, the opportunity arose where we could schedule Dr. Berry and Emily Baxi next week! It will be recorded if you cannot join. 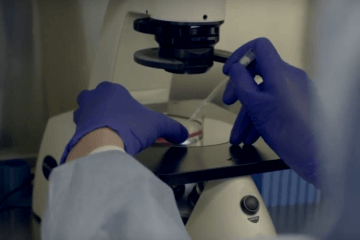 Answer ALS Research is building a comprehensive clinical, genetic, molecular and biochemical assessment of 1000 ALS patients to help understand and ultimately end ALS. 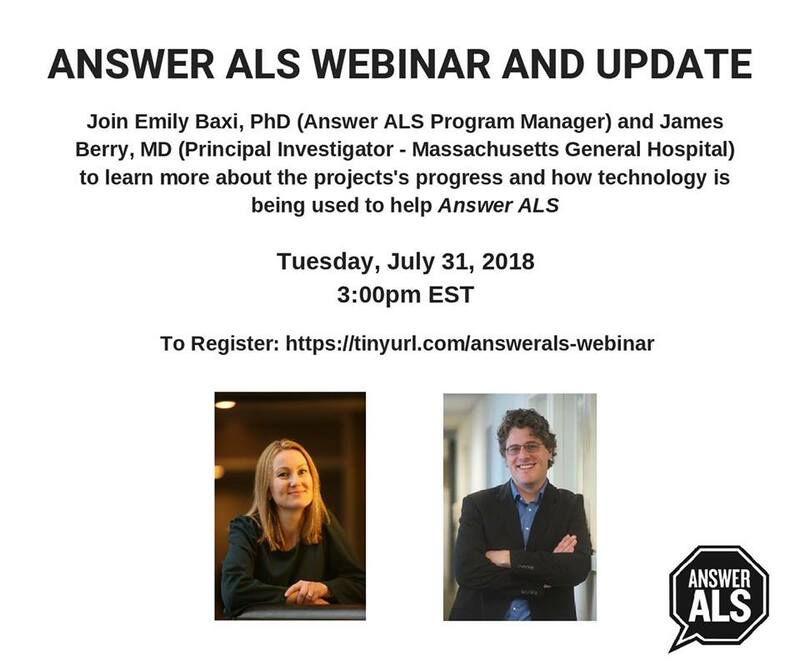 Following an update on the study’s progress from the Program Manager, Emily Baxi PhD, join James Berry MD, Co-Director of the Massachusetts General Hospital ALS clinic and Answer ALS Principle Investigator, for a discussion on how a custom designed smartphone app will allow researchers to monitor ALS symptoms with increased frequency and ease.